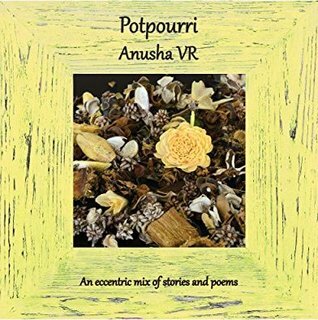 Review of 'Potpourri' by Anusha V. R.
Potpourri is an eccentric mix of stories and poems. Somewhere between working twelve hour shifts at a tax firm and cramming for exams, these stories and poems tumbled onto torn sheets and paper napkins. Potpourri is an attempt at preventing the literary world slipping away and regaining a sliver of that bookish world. 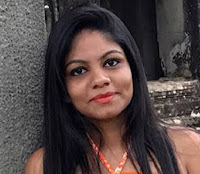 Anusha VR is a CA, CS, author and spoken word poet residing in India. Her short stories have been published in over thirty anthologies. Potpourri is her debut chapbook. She is currently working on a collection of poetry slated for publication in 2018. When she isn't working or writing, she can be found globetrotting. You can connect with her on Facebook. I received the kindle version from the Publisher for honest review. Finished reading in a couple of hours. This chapbook is a collection of flash fiction, short stories and poems. It was a quick and interesting read. The cover is okay. I do not give 5 stars, so I have given 4.5 stars to this book on Goodreads. Why does this book deserve 4.5 stars? The element of surprise in almost all the stories made me say 'oh wow'. The poems aim straight for the heart. Another reason for the rating is the vocabulary - it's impressive. The editing is perfect. Even though the number of pages and the length of the stories would tempt you to finish reading the book in one sitting, do not do so. Do not make the mistake I made. Take your time to read the book. Some of the stories are dark and negative; some people might be uncomfortable with this, but I think it is okay. If that is how the author writes, that's how she writes. Having said that, there's a poem - 'escaping the limbo' that made me uncomfortable as well. Made me wonder in what frame of mind was that piece written. My honest review would not be complete without mentioning the price of the book. I received a free ebook, it is free on kindle unlimited - otherwise it is 189 INR to buy. The Paperback version (chapbook) is for 629 INR. Personally, I do not mind spending on books and would have considered buying; I would have definitely bought the Paperback IF Anusha was my friend. But, the problem with most of the people is that they are skeptical when it comes to buying a debut book of some author they have hardly heard about. 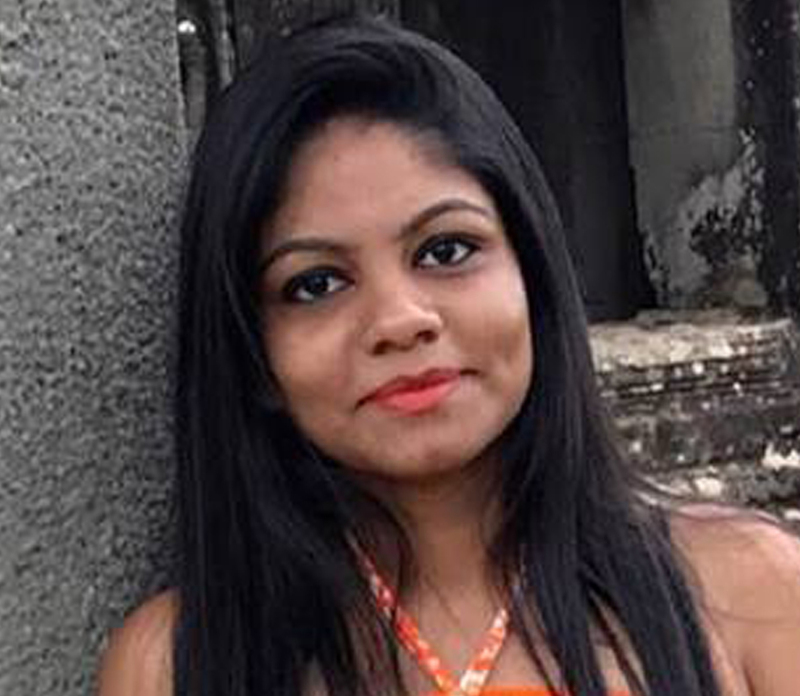 Anusha has contributed to December 2016 issue of Writer's Ezine. If you are a kindle unlimited subscriber, do take a look at this book. If you are okay with spending 189 INR for the kindle version, then I'd say it is worth.